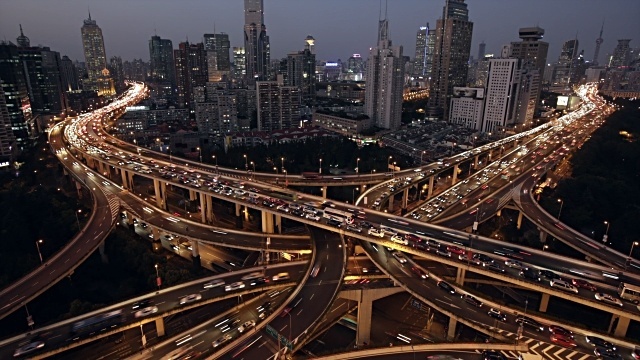 State DOT highway Intelligent Transportation Systems (ITS) are progressively capitalizing on comprehensive Variable Speed Limit (VSL) designs. As a more advanced and timely safety warning system, changing the speed limit based on weather or traffic conditions in focused locations offers more precise warning to stretches of especially vulnerable roadways. In often non-negotiable winter road conditions, unreliably slippery roadways require more precise, distinctly locational, lower speed limit advisories. Ideal weather conditions of summer, not so much. 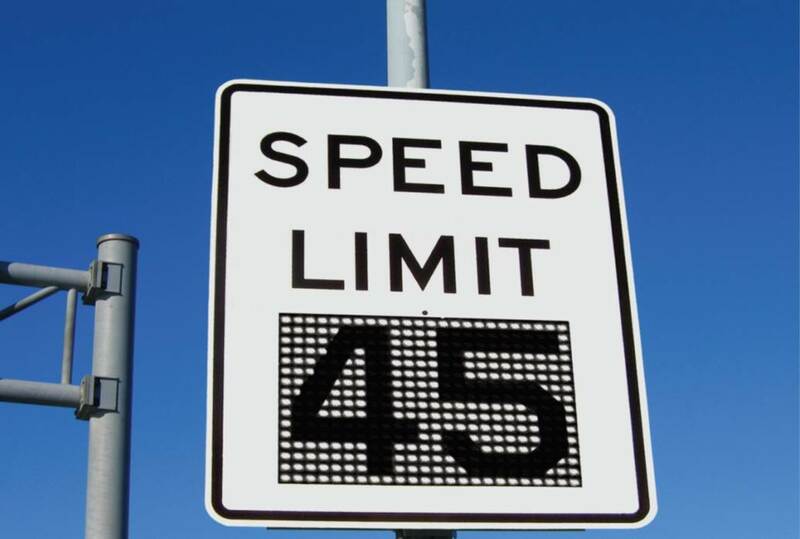 Variable speed limit systems are continually proven ITS safety devices in such states as New Hampshire, Wyoming, Minnesota, and Utah. The VSL Subscribers list continues to climb as a cost effective, dynamic messaging system, in particular with rural locations. VSLs foster opportunity for DOT’s to utilize accurate placement for both regulatory and warning applications. Serving as warning signs with amber colored characters in particularly hazardous locations, the dynamic aspect of posting variable speed limits or for that matter, blanked out signs, creates a positive and engaging interface with the driving public. Applied as a regulatory sign, VSL’s with white characters bring into play stricter standards with law enforcement options. Excising proper design criteria, these signs can meet MUTCD standards for lettering in sizes 12 to 18 inches. In the past ten years, the solar power industry has experienced an annual growth rate of almost 60%. At the same time, installation costs for solar technologies has decreased by more than 70%. These statistics point to a positive shift in acceptance and adoption, with a simultaneous reduction in product price. Today, solar technologies generate enough electricity to power over 6.2 million homes. The commercial impact of solar power systems is growing at a fast rate, with 38 states in America that now have active corporate solar installs. Corporations are using solar power in distribution centers, retail stores, offices, and manufacturing centers. Energy, in whatever form, is a key element all civilizations require in order for its citizens to not only grow, but thrive. Since the 1850's, the world (especially North America) has developed and capitalized on the opportunity of nature’s abundant resources. Over time, new tools for the extraction of assorted resources have been created and the ensuing applications have revolutionized the world’s overall quality of life, emphatically typified in the United States of America. Many portable DMS (Dynamic Message Signs) are already powered by Solar on our roads but very few permanent DMS. Numerous misunderstanding still exists especially regarding the size of DMS that can be powered by solar, the maintenance of the system, the battery life, and the longevity of the solution. 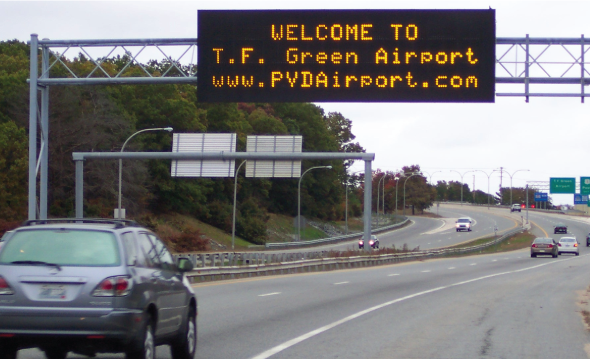 Over the last forty years Dynamic Message Sign (DMS) or Variable Message Sign (VMS) technology for U.S. highways has evolved from mechanically operated florescent dots forming letters to present day color (Light Emitting Diodes) capable of bold, high definition images and text set on static green backgrounds and much more. In the evolution, ITS engineers have meritoriously continued the selection process of size of the sign while abetting MUTCD mandates. Defining the right type of sign for a specific project can be challenging. There are many different reasons and criteria that effect the choice of one product versus another. Designing a Variable Message Sign to solve a road safety challenge requires a thorough process and defined methodology - it is important to ask the right questions. On one side, choosing the most advanced sign that can display anything, in any color, at any time is the easiest and most unlimited option. However, this often creates other challenges like power issues, monitoring complexity, and exorbitant costs for simple applications. On the other side, very simple and cheap solutions exists, such as static signs with flashing beacons. Although, this can also have many disadvantages and does not solve most of the problems discussed in one of our previous blogs. Throughout several blogs, we discussed the benefits of Blank Out Signs (BOS) and Lane Control Signs, and compared their technology against Dynamic Message Signs (DMS) and other types of signs. In this blog, we want to discuss the cost benefits of using Blank Out Signs and Lane Control Signs. 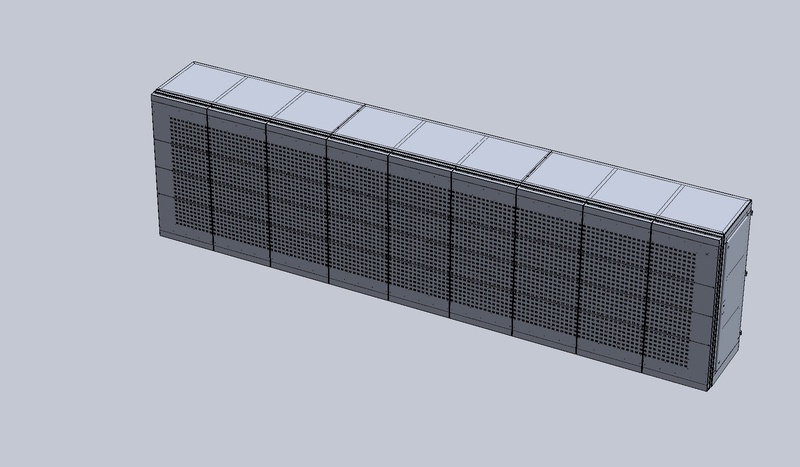 We recently published a blog about the 5 Display Properties Defined by NEMA TS4 and are continuing with our series referencing these specifications for Dynamic Message Signs (DMS). This installment will examine the Environmental Requirements described in Section 2 of NEMA TS4 that establishes the limits of operational conditions in which the DMS must perform. They are also intended to make sure the DMS is delivered in good condition. In the last 40 years, since dynamic messaging signs became an integral part of the U.S. highway’s persona, the industry has gone from flipping mechanically iridescent orange dots to advancing fiber optic designs, and now, LED lighting. 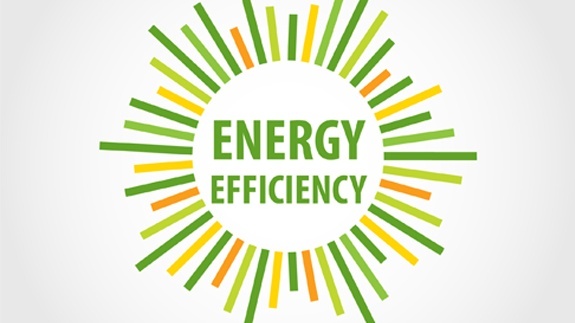 With continued advancements in solar due to greater energy efficient design and product with ventilation or cooling systems are no longer necessary. Trending along with LED advancements is the critical need for agencies to maximize their purchasing power while still acquiring ITS devices that truly match their most recent concerns in the field and on paper. 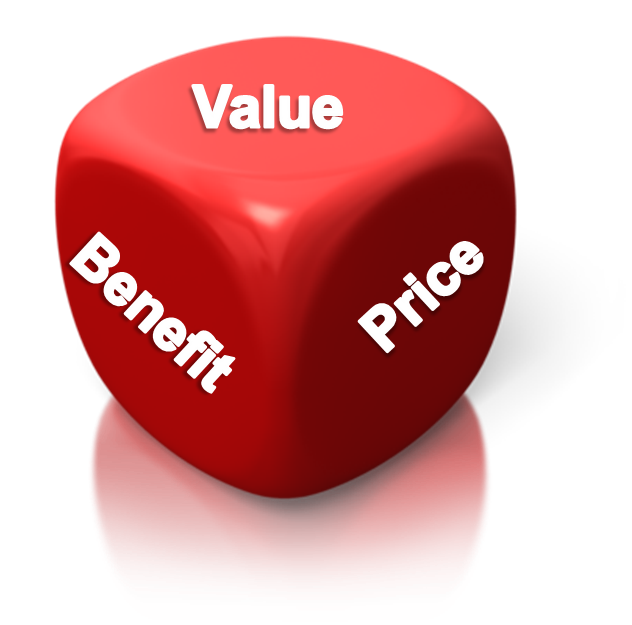 As a result agencies are looking towards value versus finding the lowest VMS pricing in contract assessments.